Following the election gives way to Congress’ “Lame Duck” Session in which the Senate and House take care of the remaining issues left on their plate. The most noted issue for the ethanol industry is of course is the need to renew VEETC, the volumetric ethanol excise tax credit which is set to expire at the end of 2010. VEETC, a blender’s credit, was put in place to encourage the use of domestically produced fuels, making them more competitive in the market place and saving families money. 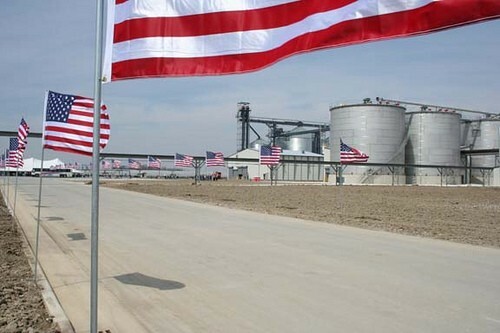 “Allowing the tax incentive to expire would risk jobs in a very important domestic energy center and across rural America,” said Renewable Fuel Association’s, Bob Dineen. The big argument against VEETC is that ethanol should be able to stand on its own without government support. But what people don’t know is that oil, the most profitable industry in the entire world, is subsidized to the tune of $140-280 billion annually. Compare that to the ethanol industry’s $17 billion over the past four years and it makes you wonder what folks have against supporting a young, domestic and readily available alternative fuel that benefits both our environment and economy. “All the growth opportunities for ethanol aren’t going to be there. So we are very committed to making sure the industry is able to continue to grow and evolve these marketplaces that are opening up. And that’s why extending the tax incentive needs to occur,” said Dineen. So as congress resumes after the election tsunami swept through the country, emphasis needs to be placed on VEETC with so much on the line. But what action will congress take to pass a renewal? Will they lessen the dollar amount or possibly reform VEETC? With so much emphasis put on boosting the economy, congress needs to start with renewing VEETC, the most important issue facing American domestic fuels today. This entry was posted in Education and tagged congress, jobs, South Dakota, VEETC.